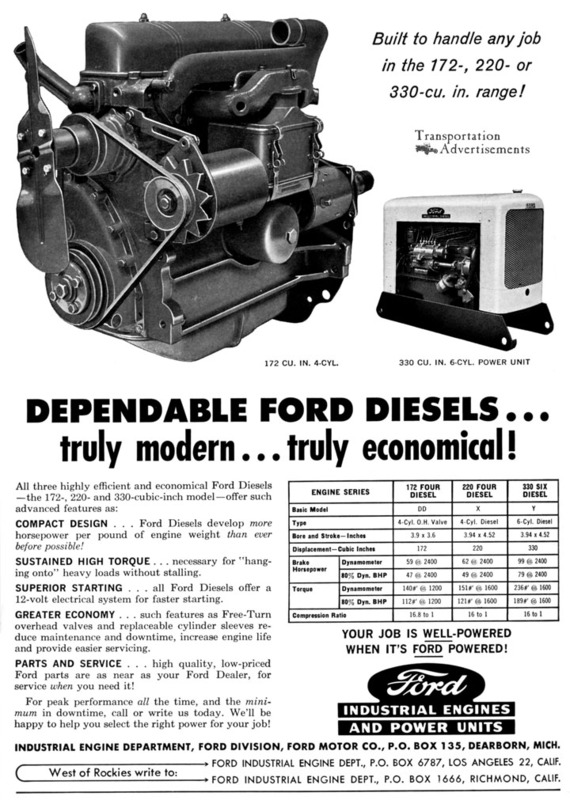 On the farm, on the highway, on construction projects; in factory, mill, lighting plant or marine applications, the Red Seal Engine is giving dependable and economical performance. That is why Continental’s large list of customers keeps growing. Now, a new era of transportation is opening. Aviation is coming into its own. It finds Continental taking leadership in the light aircraft engine field and expanding its activities in the higher power range. 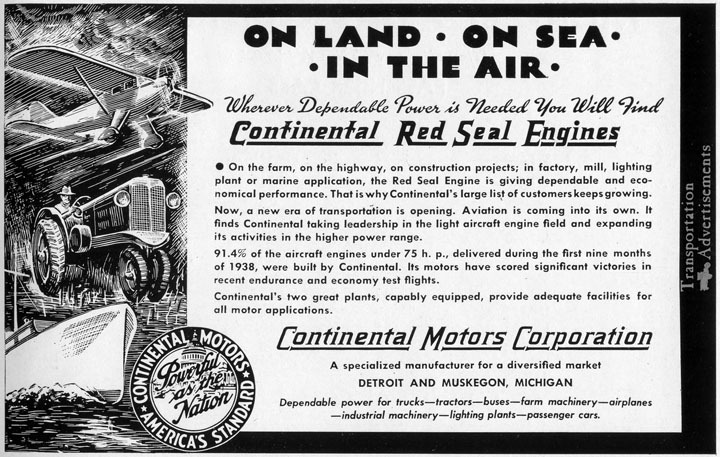 91.4% of the aircraft engines under 75 h. p., delivered during the first nine months of 1938, were built by Continental. Its motors have scored significant victories in recent endurance and economy test flights. Dependable power for trucks – tractors – buses – farm machinery – airplanes – industrial machinery – lighting plants – passenger cars. Transportation Advertisements is powered by	WordPress 5.0.4 and delivered to you in 0.345 seconds using 30 queries.